The Parramatta Square project is the biggest urban renewal development currently happening within the Parramatta CBD at a cost of $2 Billion dollars. As part of the Parramatta Square development, a new council chamber is being built. 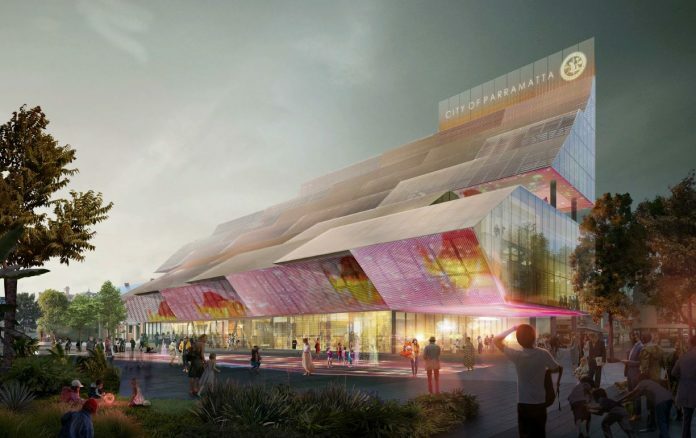 This development is officially called the parramatta Council Chambers & will sit on the Parramatta Square 5 plot within the Parramatta Square development. The height of the building will be 42.8m to its highest point which will be a retractable LCD screen as is depicted in the renders of the building. It will feature 6 storys & have a considerable setback on Leigh Place making the building more accessible for pedestrians. There will be a rooftop garden which will be accessible to the public aswell as an integration to the heritage listed Town Hall building next door which will have access to the by cantelivering the council chambers on an upper floor. 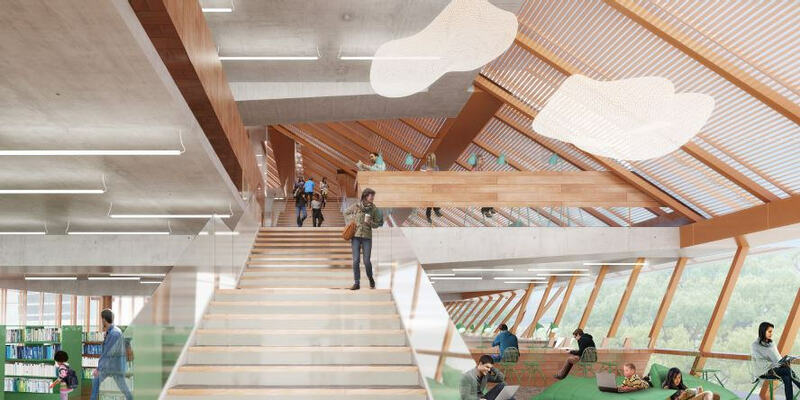 There will be public vertical living rooms & an amazing library where members of the public can come to read & relax. A lobby & cafe will also be onsite. The entire building will also be a digital projection LED screen which can display vital information & be used to display info for special events. The building will also feature the same technology on the retractable spire. The east & west facade of the building will feature black reflective glass which should give the building a very modern look in addition to its other architectual features. There will be a basement level & one underground mezzanine level which will connect with the rest of the Parramatta Square development. The developer for this tower is set to be Walker Group as contracted by the City of Parramatta. The architects for this building are Manuelle Gautrand Architecture, Lacoste + Stevenson and DesignInc which as you can see by the renders are simply spectacular. The cost of the proposed development is $90,000,000 and the estimated date for completion not stated however an estimation would be between 2019-2020. 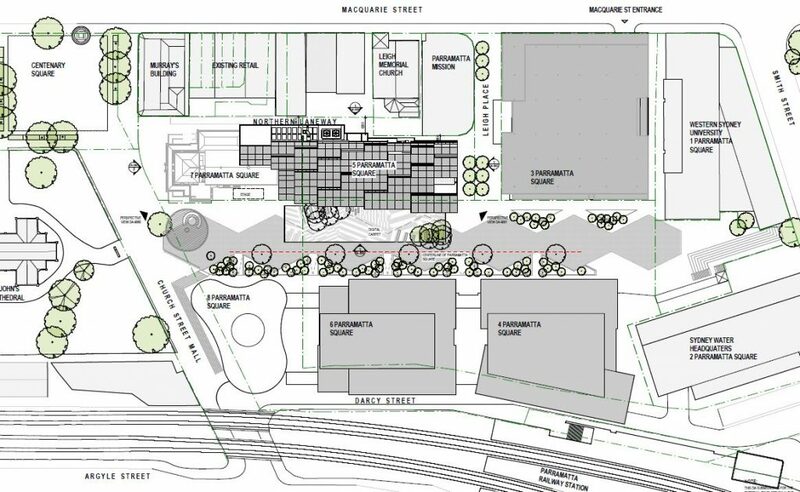 You can view further details of the development by viewing the development application of PSQ5 on the official City of Parramatta website. 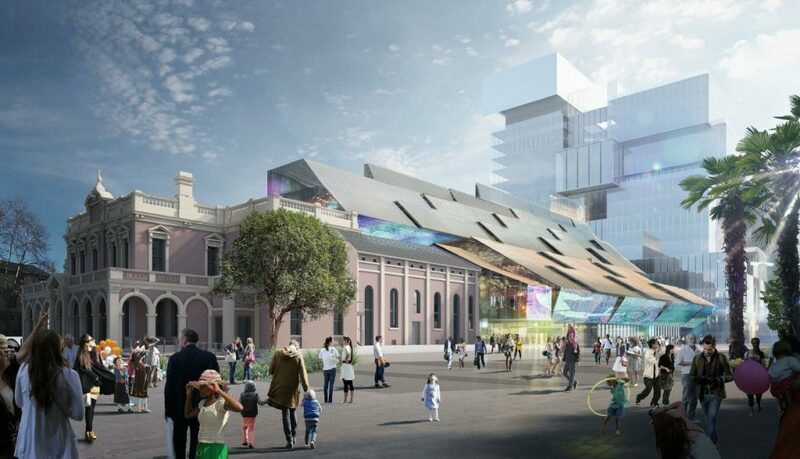 This new council building within Parramatta will set the standard of what a council building should be like & rivals the Sydney CBD itself, especially when you consider its smart integration with the Parramatta Town Hall next door. This development will add a serious amount of amenity for the residents & employees of the Parramatta CBD.